On Monday, December 3, 2018, Volunteers of America-Greater New York hosted its 23nd annual gala, A New York Winter's Eve, in the Grand Ballroom at The Plaza. 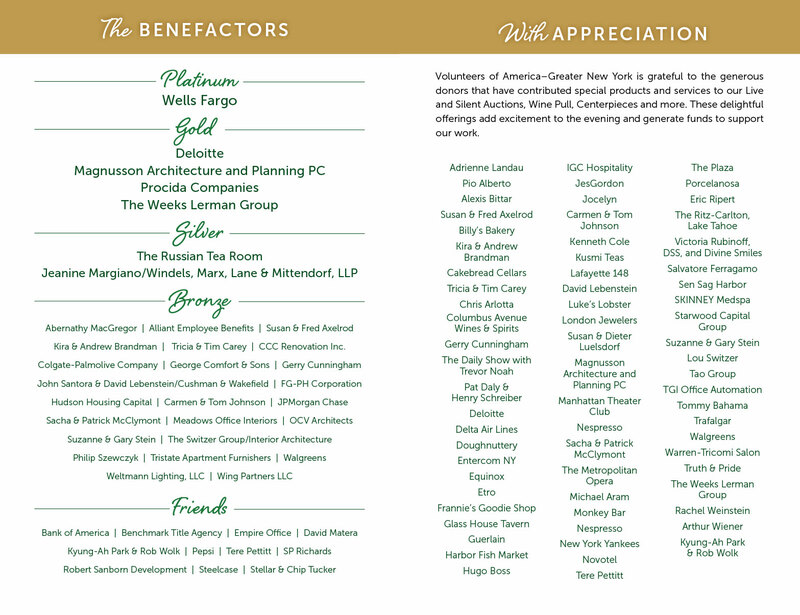 We are grateful to those companies and individuals who contributed special product and services that added to the excitement of the evening and generated funds to support our work. For information about making an in-kind donation to our gala, please contact Rachel Weinstein at 212-496-4305 or rweinstein@voa-gny.org.